The drone industry is really flying high to new heights. We’ve talked about Precision Agriculture before and the drone to tractor solution that allows farmers to save on fertiliser and water costs by using a drone to spot stressed and dying crop that needs special attention. This avoids the farmer spraying unnecessary spots and avoids wastage. Now we can take a step backwards and look at the plantation phase. But now, DroneSeed has developed a drone that can plant seeds. In the rough and uneven terrain that forests are often seen, it can be a labour-intensive and time-consuming task to plant seeds evenly and in a timely manner. According to UAS vision, the US plants 1.5 billion trees a year and they are currently seeded by hand. Planting those trees by hand is arduous and dangerous, however. In one day, one human worker plants 800 seeds a day but DroneSeed predicts its device can plant 800 seeds in an hour. 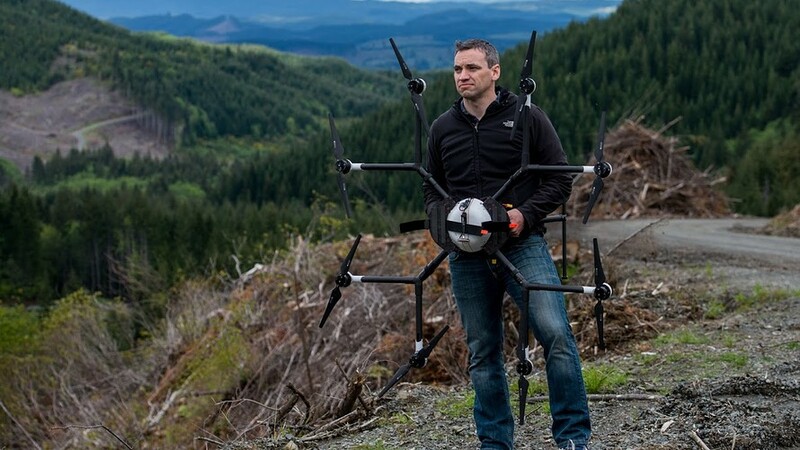 This physically demanding process can now be completed by the drone. Labor is still hard to find because the job is physically demanding. Workers have to move trees around the site, hauling trees like mountaineers in bags up hills in work that could mean a thousand back bends a day. One study says a day spent planting trees is equivalent to burning two times more calories than one would by running a marathon. While the agriculture industry has developed tractors and other machinery to automate difficult processes, the forestry industry has struggled to develop a similar technology due to harsh and uneven terrain. 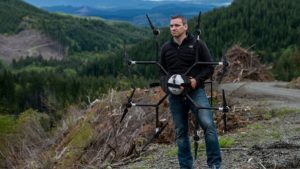 Drones could be the solution, as terrain is less of a concern. There is so much parallel with what happened to precision agriculture and what is happening with us in the forestry industry with drones.